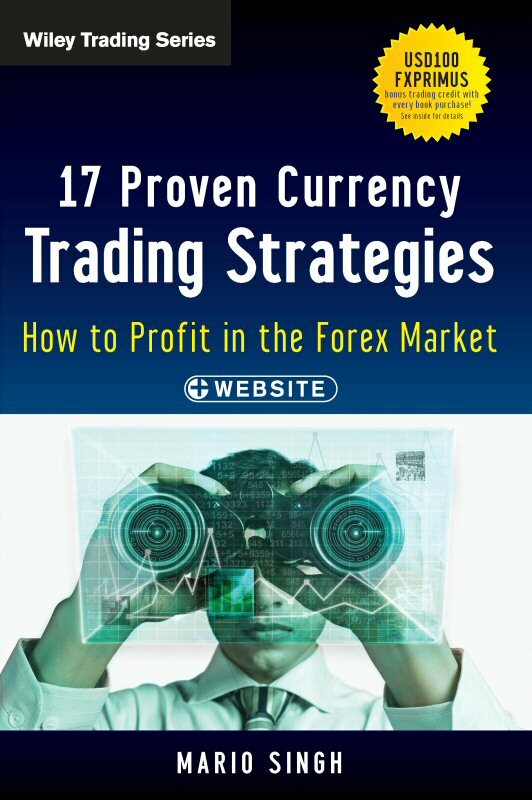 Leading global foreign exchange trader, and educator Mario Sant Singh, whose views are widely sought after in the Forex industry, today announced the release of his book 17 Proven Currency Trading Strategies: How to Profit in the Forex Market (Wiley Publishing). This new book from a major international publisher, is an indispensable guide for ordinary people looking for a reliable second income stream - whether recent college graduates or baby boomers preparing to retire; middle managers or business owners. It is also a useful resource for all types of investors and traders-from retail investors and fund managers, to portfolio managers and institutional investors-who are looking to expand their trading horizons in the Forex market. Author Mario Sant Singh is the Director of Training & Education at global retail Forex brokerage FXPRIMUS. Based in Singapore, he has appeared as a guest expert on CNBC more than 35 times to talk about foreign exchange markets, and is a regular contributor to leading international business and investment publications. Known as a brilliant and intense communicator with a unique ability to 'keep Forex simple' and a mission to help every man-in-the-street to trade profitably and responsibly in the Forex market, more than 20,000 people have attended his Forex training programs. He is also the only Forex trader in Asia invited to train Julius Baer Private Bankers - the third largest Swiss Bank, and ICBC, China's largest commercial bank. Said Mario, "With an average of $4.3 trillion exchanged per day, the Foreign Exchange (Forex) market is the largest and the most actively traded market in the world. "With a potent combination of unprecedented liquidity and sovereign debt levels in the world today, there truly has never been a better time to get involved in Forex," he said. 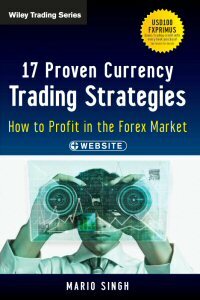 His new book, 17 Proven Currency Trading Strategies: How to Profit in the Forex Market, is equipped with knowledge and tools that are used by savvy Forex traders, providing comprehensive solutions on how to take advantage of daily money-making opportunities in the Forex market. Concise and accessible format. The book is in two parts, with the first part explaining in plain English what Forex trading is, how money is made in the Forex "game", the six major players involved, and the importance of knowing one's Trader Profile. The second part provides up to five trading strategies pertinent to each of five Trader Profiles readers can identify themselves with. Practical approach. The book is filled with illustrations that clearly explain what to look out for and how to apply strategies in a real-time situation. Companion website that supplements the information in the book. Free online multiple-choice quiz designed by the author, for investors to identify their own Trader Profile. The quiz can be accessed at: www.askmariosingh.com/traderquiz. The book is priced at US$70.00 and is available at leading bookstores and online sites. For more information, go to www.wiley.com/buy/9781118385517. Mario's blogs are at http://www.mariosingh.com and at http://www.askmariosingh.com. His Facebook presence is at https://www.facebook.com/pages/Mario-Singh-Asias-Favourite-Forex-Coach/139430102734714?sid=0.1116881282068789. Founded in 1807, John Wiley & Sons, Inc. has been a valued source of information and understanding for more than 200 years, helping people around the world meet their needs and fulfill their aspirations. Wiley and its acquired companies have published the works of more than 450 Nobel laureates in all categories: Literature, Economics, Physiology or Medicine, Physics, Chemistry, and Peace. Wiley is a global provider of content and content-enabled workflow solutions in areas of scientific, technical, medical, and scholarly research; professional development; and education. Our core businesses produce scientific, technical, medical, and scholarly journals, reference works, books, database services, and advertising; professional books, subscription products, certification and training services and online applications; and education content and services including integrated online teaching and learning resources for undergraduate and graduate students and lifelong learners. Wiley's global headquarters are located in Hoboken, New Jersey, with operations in the U.S., Europe, Asia, Canada, and Australia. The Company's Web site can be accessed at http://www.wiley.com. The Company is listed on the New York Stock Exchange under the symbols JWa and JWb. To view the photo associated with this press release, please visit the following link: www.marketwire.com/library/20130226-mariosingh800.jpg. Leading Forex educator Mario Singh's guide to Forex trading costs US$70.00 and is available at leading bookstores and online sites, including: www.wiley.com/buy/9781118385517.